The consistent rise in the prices of oil, coal, fossil fuels and on the other, the lack of natural gas reserves has indicated the struggle of ASEAN for energy demand, which is eventually going to persist in future. Consequently, due to the scarcity of fossil fuels, oil and natural gas resource, nuclear energy surfaces as a palatable strategic option for ASEAN’s future development agenda. However, a successful nuclear power program entails an extensive infrastructure. The control of nuclear energy is one of the prime concerns of science, industry, and politics. Henceforth, the study of this paper is based on secondary sources where a qualitative research is conducted to analyse the historical and regulatory issues relating to the nuclear energy generation in ASEAN. The study combines doctrinal normative and comparative historical and legal analysis. Consequently, one of the prime researches of the paper will skirt around the topic related to the public awareness and embroilment of such nuclear energy development in ASEAN. The paper recommends ASEAN to adopt a comprehensive energy law ought to be realigned to consider more noteworthy emphasis on sustainability, developing technical, financial, and institutional constraints and promoting public awareness and involvement associated with the generation of nuclear energy. KARIM, Ridoan; MUNIR, Abu Bakar. A HISTORICAL OVERVIEW OF NUCLEAR ENERGY REGULATIONS IN ASEAN. SEJARAH: Journal of the Department of History, [S.l. ], v. 27, n. 1, aug. 2018. ISSN 1985-0611. 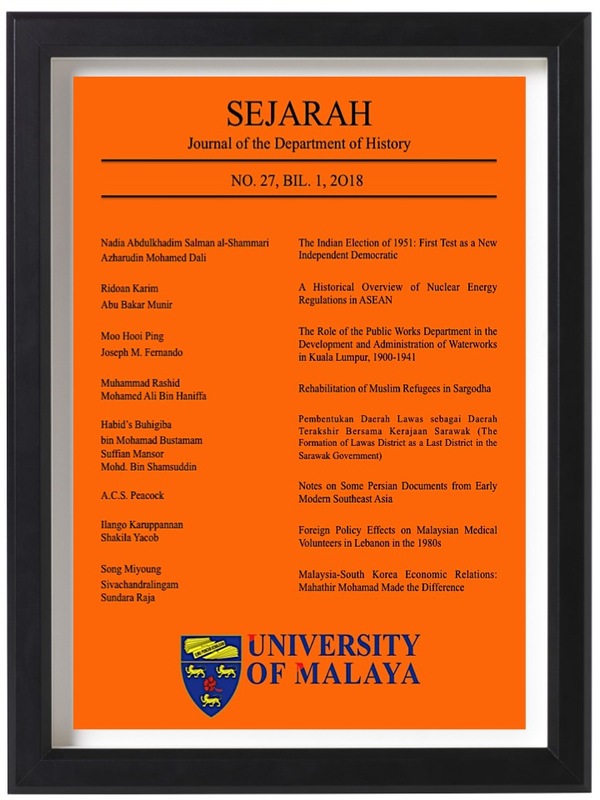 Available at: <https://ejournal.um.edu.my/index.php/SEJARAH/article/view/10489>. Date accessed: 22 apr. 2019.